LIVING legend of Irish music, John Spillane, won over hearts and minds at the 40th annual Fête de Village in Dénat. On Sunday September 3rd last John Spillane entertained a crowd of 83,500 people at the all-Ireland final in Croke Park and the following weekend he played two concerts for just several hundred people in the village of Dénat. John won over locals in south-west France with rousing renditions of ‘Oro Se do BheathaBhaile’, ‘Magic Nights in the Lobby Bar’, ‘All the Ways You Wander’, and ‘Passage West’. For many people in Dénat, it was the first time they had heard live an Irish artist of the quality of John Spillane with his powerful ballads which mix Irish folk and traditional music. Vinitek Sudouest was proud to be a sponsor of the 40th annual Fête de Village in Dénat and supplied all the wines for the weekend of celebration. To accompany the tasty fare of Moules à la Plancha, Saucisse Frites and traditional Fabounade, revellers enjoyed Vinitek’s red wines including Château Bubas and La Griffe from Domaine de la Chanade. White wines for the Fête were the classic Picpoul de Pinet fromthe excellent Cave de l’Ormarine and another from Domaine de la Chanade; La Griffe white . The overwhelming reaction was that this year’s festival was the best yet and this was in no small part down to the brilliance of John Spillane. John, a Cork native, was joined on stage for his two weekend performances by renowned Bodhran player, Willie Doherty, and the excellent Harpist, Johnny Walsh, also both from Cork. More than a singer/songwriter, John Spillane is also a poet, bard, comedian, romantic and a dreamer. His sincerity and humility appear to know no bounds and people in Dénat are already asking if John will return next year. Vinitek Sudouest wish John Spillane every continued success in his career. 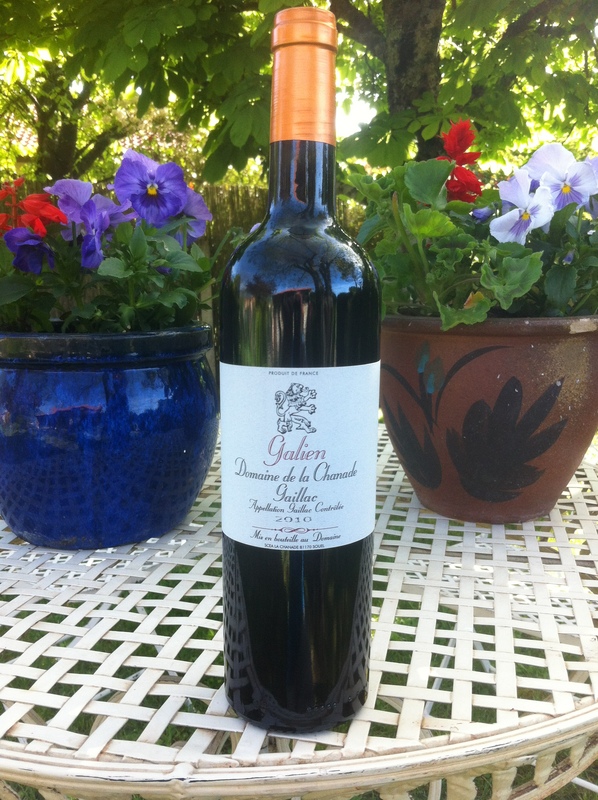 Excellent new wines from Domaine de la Chanade – It’s only natural. Yes, we know it has been quite some time since we updated our blog, but at Vinitek we don’t really believe in posting stuff unless we have something important to say! 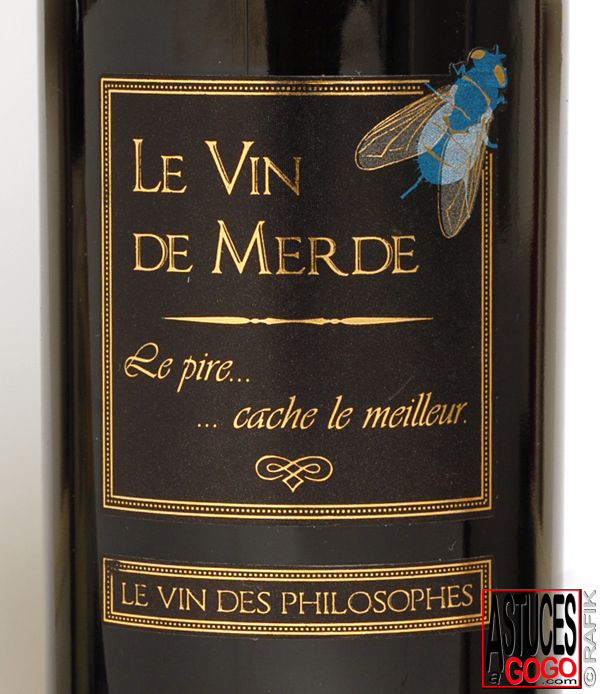 Well, now we do – with the addition to our selection of south-west France wines of a range of really exciting ‘natural’ wines from Domaine de La Chanade in AOC Gaillac. 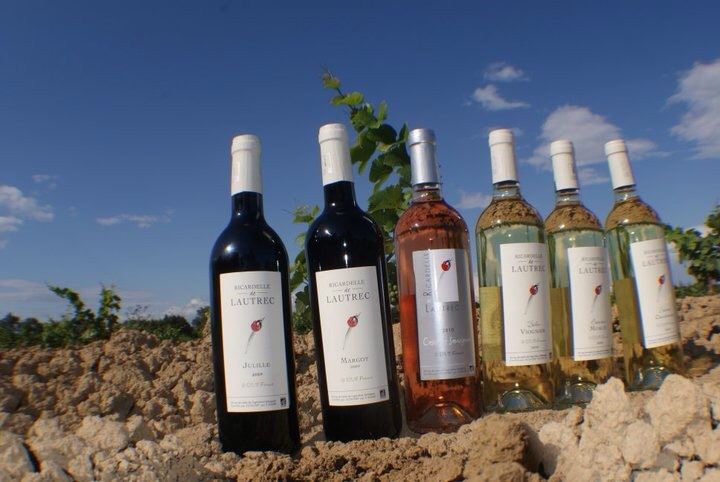 The 40-hectare vineyard is located at an altitude of 320-metres on the chalky Plateau Cordais. The domaine is just a few kilometres from Cordes sur Ciel, voted the ‘most beautiful village in France’ 2014. Christian Hollevoet bought Domaine de la Chanade in 1997 with something of an avant-gardist vision to make only ‘natural wines’, in an environment-friendly culture, with limited yields following ancestral wine-making processes. So what do we mean by ‘natural’ wines? Christian’s vision favours exclusively organic products for treatment of the vineyard, hand harvesting, no added yeasts or sulfites in the winemaking process and no filtering for either of his two red wines. In recent years, Christian has been joined in day to day operations at the vineyard by his son, Julien, whose aim is to add a modern twist to the traditional wine-making process. Julien’s modern approach is reflected in their new range of ‘La Griffe’ red, white, rosé and dessert wines which make for great everyday enjoyment at a superb price/quality ratio. Literally, ‘La Griffe’ translates as the ‘Scratch’ or the ‘Scrape’- with their best-selling white wine from this range, look how the colour of the wine shimmers through the scratches on the label of the bottle. This blend of Mauzac and Loin de l’oeil grapes reveals a concentrated nose of white fruit and honey with a very balanced finish on the palate. Serve nicely chilled at 6°/8° with white meat, fish or salad. The perfect white wine in apéritif. With the classic red from ‘La Griffe’ range, typical Gaillac grapes Syrah and Duras combine to produce an aromatic wine full of red fruit aromas with notes of black fruit and spices. Christian’s total respect for producing only ‘natural’ wines means this red has not been filtered. Structured and robust, the finely balanced tannins mean this wine can keep for three years. Serve this one at room temperature with game, red meat in sauces, lamb or your favourite cheese. The critically-acclaimed flagship red ‘Galien’ combines low yields and hand-picked grapes to produce a wine with a strong aromatic concentration. Aged in 400-litre French oak barrels for 24 months, the Galien is not filtered and has no added yeasts or sulfites. The colour is deep and intense while the delicately spiced aromas reveal notes of roasted peppers and ripe dark fruit. With a powerful long finish, the tannins never overpower the fruit. 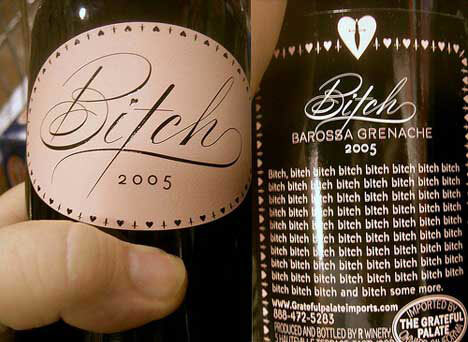 This wine should be opened at least 2 hours before serving and can be served in decanter. Serve at room temperature with red meat roasts and strong cheese. Galien can keep for up to 12 years. We’ll be adding more wines from Domaine de la Chanade including the rosé and dessert wines to www.vinitek-sudouest.com over the coming weeks. 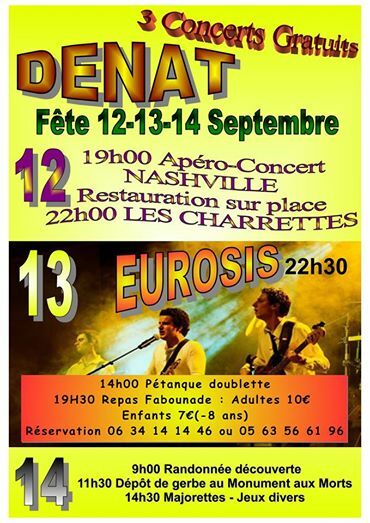 Hard to believe that the Dénat village festival is over for yet another year. After months of preparation by a team of up to 25 dedicated volunteers, all the tents, stages and lights have been dismantled and put away for 2016. 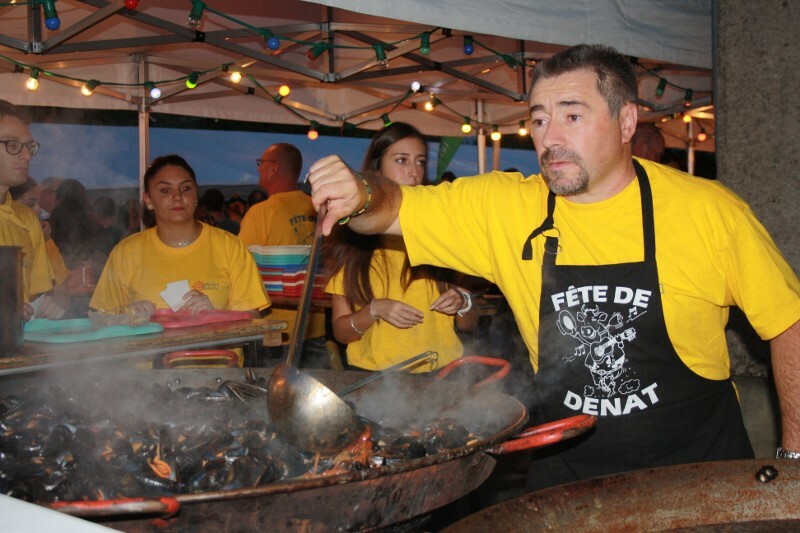 The overwhelming verdict was that this year’s Fête de Village was the biggest and best yet and the figures speak for themselves; 1,000 meals served, 900 litres of beer and 200 bottles of wine sold. Dishes included the festival committee President, Olivier’s legendary Moules à la Plancha (with 25 litres of white wines just for the sauce), the south-west speciality Fabounade, a variation on the famous Cassoulet, and of course the classic Saucisse de Toulouse. All of this was washed down with red wines from Château Bubas, white wine from Domaine Rotier and rosé from Domaine de Sédouprat all supplied by Vinitek. Musical highlights from the four bands to perform over the weekend included the ‘Gartloney Rats’ an all-French act who have very strong Irish musical influences and treated locals to tunes by the Pogues and the Dubliners. We were a bit nervous before the gig upon hearing the Rats’ lead singer speaking broken English in a strong southern-French accent. However, on taking to the stage he sang with a near-perfect Shane McGowan accent from somewhere between Tipperary and Camden Town. Plans are already underway for next year’s village festival and one of the main aims for the coming year is to twin Dénat with a small town or village in Ireland. If you think your town or village fits the bill, although preferably with a population of fewer than 1,000 souls, then drop us a line with your ideas at contact@vinitek-sudouest.com and we’ll get the ball rolling. In other wine-related news, this year’s grape harvests in the south-west are pretty much finished and all that remains are the grapes to be handpicked for the sweet dessert wines. Following an exceptionally hot summer, the harvest came early this year and the feeling is that it will be best vintage in the south-west since 2011. Have you ever tasted liquid gold? Make this Christmas one to remember with late harvest Domaine Rotier Renaissance dessert wine. Since the 2011 harvest, the Gaillac AOC is one of only three wine regions in all of France that have the right to call their sweet white wines ‘Vendanges Tardives’ or late harvest. This rare appellation doesn’t come easy – it means obligatory hand-picked grapes, the usual element of noble rot, and ageing in French oak barrels for at least 12 months. The late harvest means the wine is made from much riper grapes with more concentrated flavour and added sugar. Rotier’s Renaissance Gaillac Blanc Doux is 100% Loin de l’Oeil grape (far from the eye) – a grape variety unique to Gaillac and the south-west of France. On the nose, it presents aromas of apricot, figs and quince. 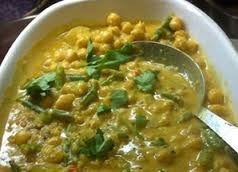 It is deeply concentrated in flavour and velvety on the palate. This dessert wine will keep for at least 10-12 years – best enjoyed with warm foie gras and figs (or even pâtés), smelly cheese, fruit-based desserts or just on its own. Bon Appetit to all our horsey friends at Clonshire Riding Club who held their annual Christmas Dinner Dance last night at the Castletroy Park Hotel in Limerick. 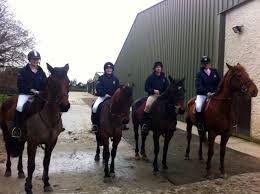 Les Cavaliers from Adare, one of the best-known Equestrian Centre in the Emerald Isle, were dining last night on a delicious menu of Sea Bass and traditional Roast Beef with Yorkshire Pud. Yum, yum!… (or Miam, miam as they say in France). Not sure what band was playing last night, but no doubt our good friend, Sue Hassett the Chair of Clonshire Riding Club, was shaking tacky into the small hours. Sue is owner of the Grove on Cecil Street- Limerick’s longest established and best Vegetarian and Health Food Restaurant. 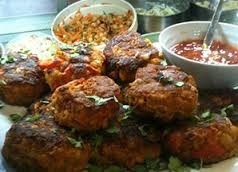 Sue’s Lentil Curry and Nut Burgers are the stuff of legend. Sue’s eaterie gets a five star rating on Trip Advisor and even gets a big thumbs up from those most fastidious of Carnivores – the French. Already looking forward to slow creamy pints and tankards of premium gin with Sue in Tom Collins’ watering hole on the Cristmas trip home. In other Vinitek news, we’re delighted to announce that our new range of organic wines from Ricardelle de Lautrec is now in stock. 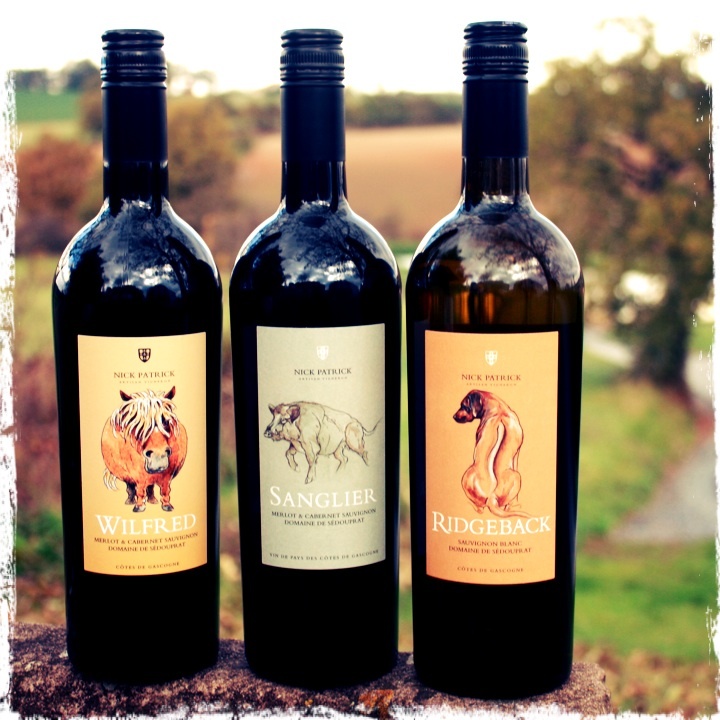 We’ve selected three wines from vigneron Lionel Boutis’s list- two whites and a red. The rich white Viognier with hints of Apricot is particularly nice. 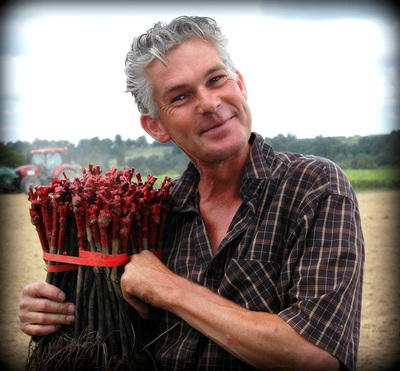 Cheeky chappie Lionel, specialises in taking well-known grape varieties from regions like Burgundy and the Rhone and planting them in the Pays d’Oc to produce great wines with a Mediterranean twist and at only a fraction of the price. Happy Christmas to all our dear customers and friends. 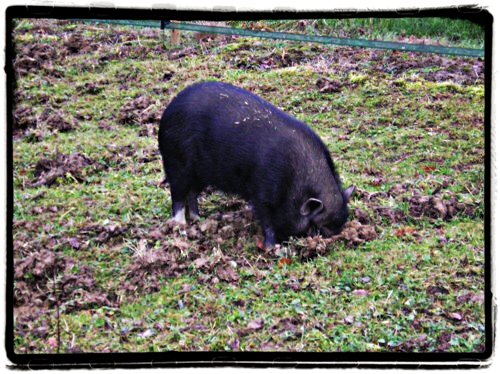 Pretty in Pink – If Pigs could Fly…. We recently dropped in to Nick and Diana at Domaine de Sédouprat in Gascony to top up our much depleted stocks of their Olga rosé wine, which has been the revelation of the summer. It’s a light and fruity, easy-drinking rosé but part of the charm is certainly related to the unique label on the bottle dedicated to the Nick Patrick’s mini-pig ‘Olga’ that lives in the gardens around the vineyard. 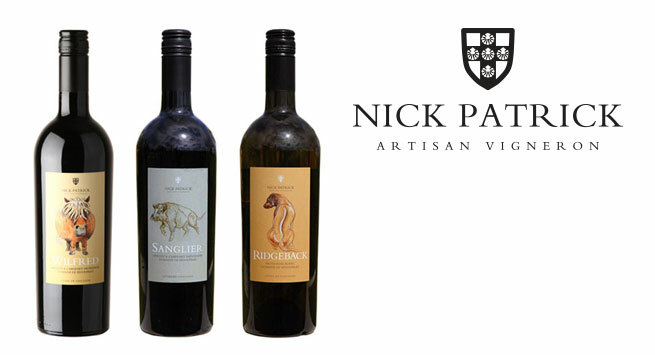 Nick’s entire range of wines are now dedicated to the pets and animals that live at Sédouprat with unique label design by Gascony-based artist, Perry Taylor. It will be another three years, however, before the vines will be ready to harvest – and more importantly to bottle. In another recent development at Sédouprat, Nick and Diana recently opened the doors of their first shop at the vineyard. Apart from the range of excellent wines to taste and buy, visitors can also select from local products including pate, cheese and foie gras. 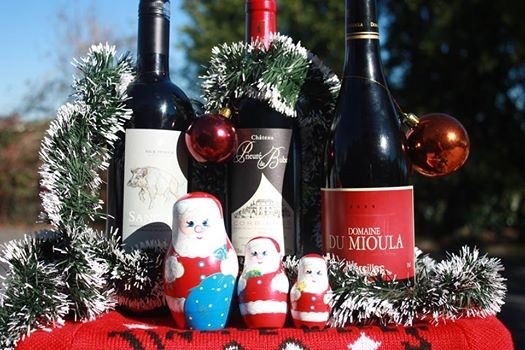 The boutique also features some really original gift ideas, many of which are wine-related, and is definitely worth a visit if you are in the area. At long last…a winemaker who’s prepared to have a bit of fun with his labels but importantly makes excellent wine at the same time. Nick Patrick of Domaine de Sedouprat in Cotes de Gascogne has rebranded pretty much his entire range of wines to reflect his interests and personality. Everyone knows the classic French wine label…Chateau this..or Domaine that…and more often than not there isn’t a Chateau or anything even resembling a Domaine in sight. While it’s great to see someone making quality wine experimenting with design and labelling, we’re not suggesting that Nick should go too far down this road. 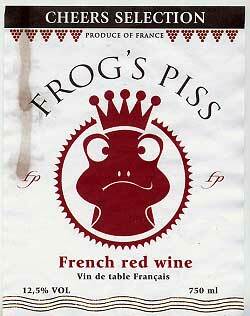 ‘Frog’s Piss’ and ‘Le Vin de Merde’ being two fine examples of the other end of the spectrum. Nick trained in oenology and viticulture in New Zealand where he also gained some valuable work experience at the renowned Cloudy Bay estate. After he bought Domaine de Sedouprat near Eauze, he set about making the best wines he possibly could out of his six-hectares under vine. Merlot and Cabernet Sauvignon are the red varietals while he has recently replaced the Colombard with Sauvignon Blanc for the whites. 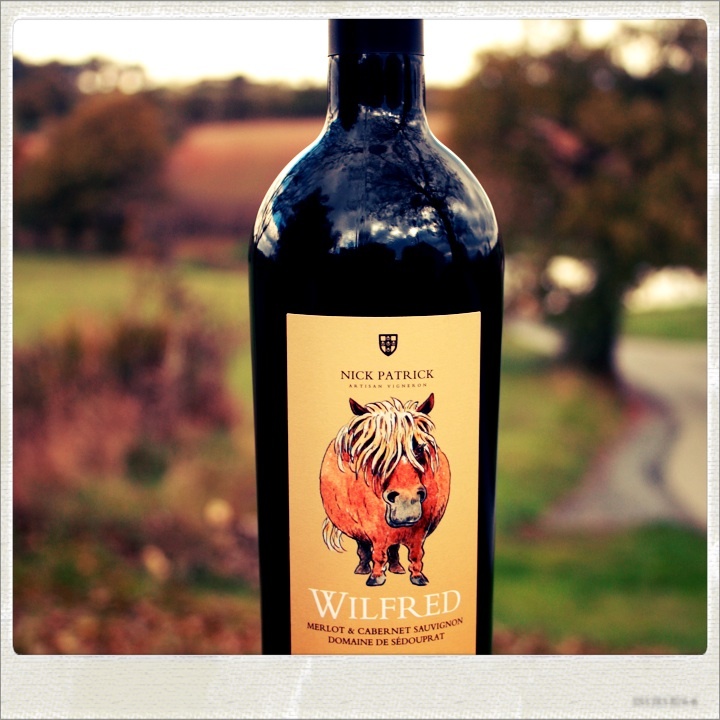 Nick’s latest creation is ‘Wilfred’ – a Cabernet/Merlot blend that he has dedicated to the Shetland Pony of the same name who has lived at Sedouprat as long as the vigneron. 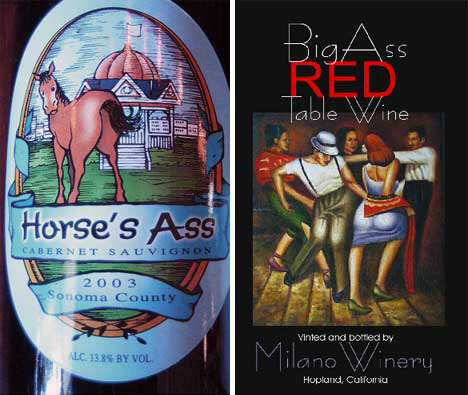 Wilfred’s head and mane feature on the front label while his large rear-end adorns the back label, who said wine labels have to be stuffy? 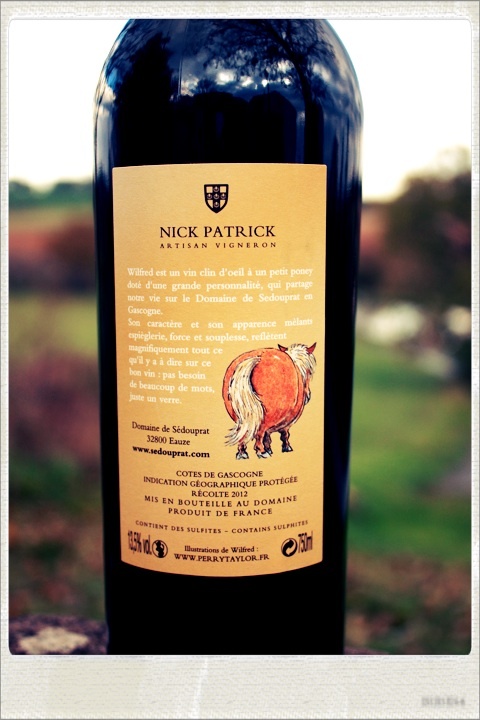 Nick’s other red wine is the ’Sanglier’ dedicated to the wild boar that roam the estate at Domaine de Sedouprat. It’s raised in oak for just three months so that the concentration is on the fruit rather than the wood. It packs quite a punch at 15% alcohol but with the ripe fruit dominating it’s hard to believe the alcohol is really this high. Nick recently replaced his Colombard vines with Sauvignon Blanc for the white wines. 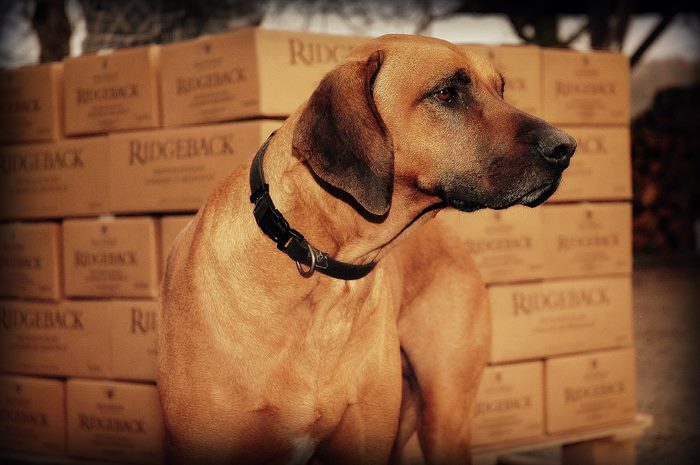 The ’Ridgeback’ label design features an illustration of his Rhodesian Ridgeback hunting-dog, Tanga. 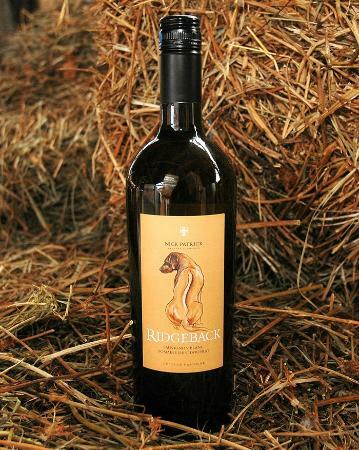 The 2012 vintage of ’Ridgeback’ displays subtle spicy notes of vanilla, lychees and gooseberries with a nice long balanced finish. Nick’s 2013 ’Ridgeback’ will be an oaked variety of the Sauvignon Blanc and promises to be something very special indeed. Watch this space….